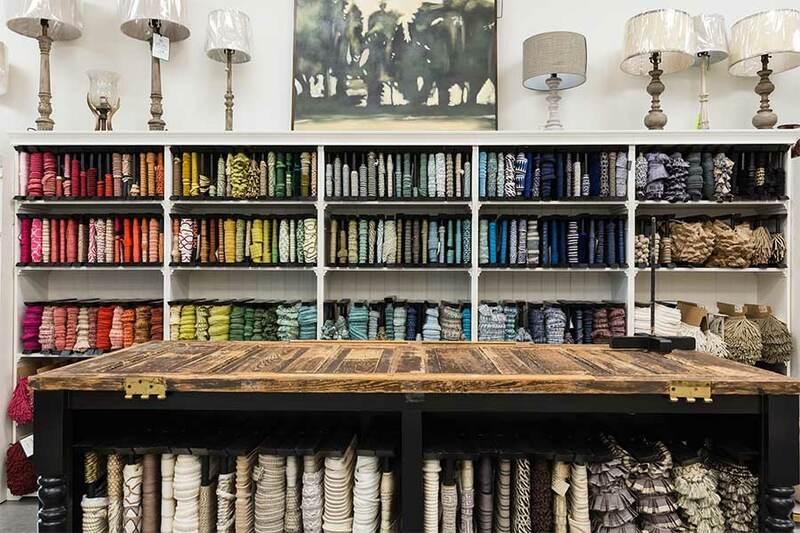 Karen Dixon, owner of Front Door Fabrics + Interiors at Promenade on Providence, said the philosophy she tries to share most with her customers is to decorate to bless, not impress. She thrives on helping people design spaces that are comfortable and welcoming as opposed to ones which feel like museums. Dixon has lived in Charlotte since 1997. Before that, she called Ohio, Alabama and Tennessee home. At The University of Memphis, she studied home economics, learning the art of cooking and home and apparel design. 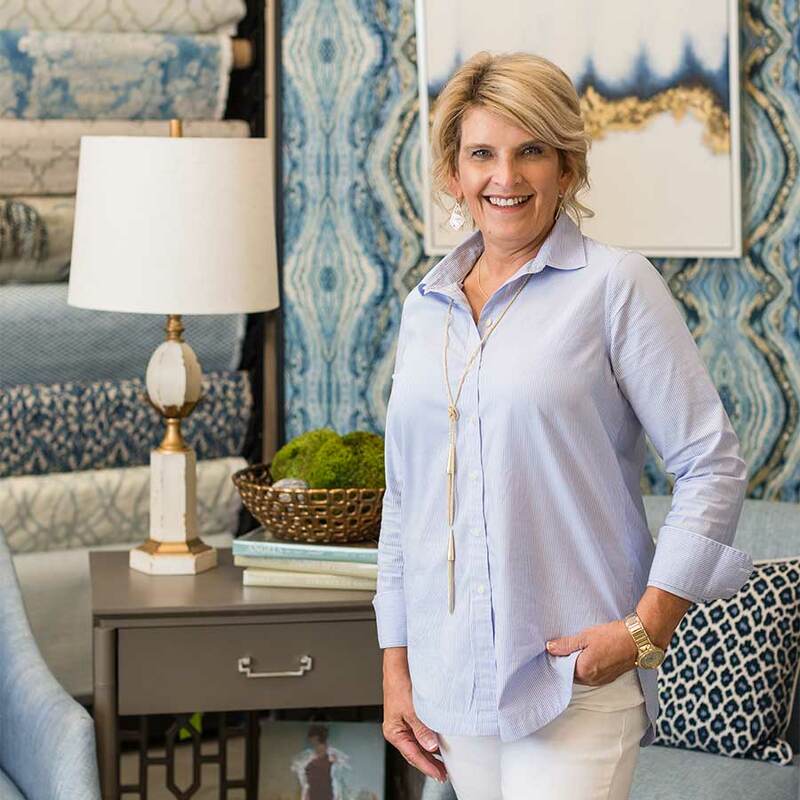 She jumped eagerly into the interior design industry in the Queen City with her work for Rogers Brothers Fabrics off Monroe Road. Eventually, the owner wanted to sell the business to her, and in 2007, she agreed to buy and rebrand it. The store moved to Promenade on Providence in July 2018. 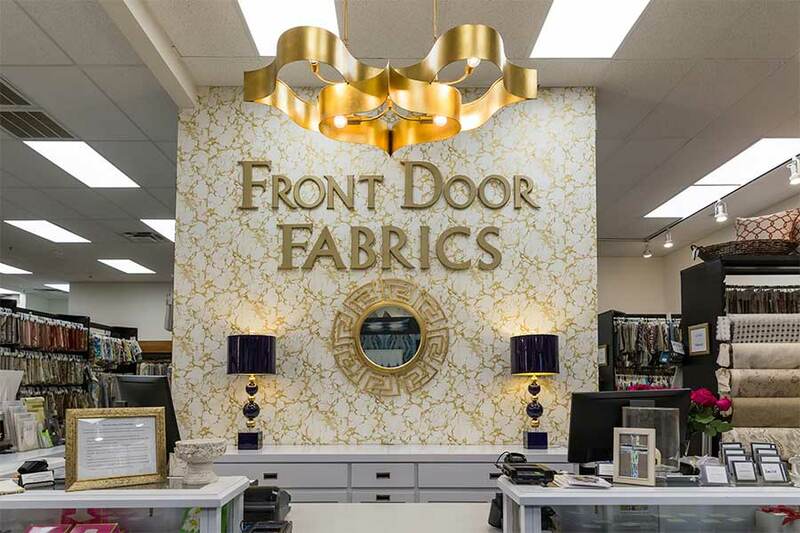 Front Door Fabrics + Interiors provides its customers with a wide variety of interior design vendors to choose from that rival the city’s larger showrooms. She enjoys the family feel of Promenade on Providence, its relaxing green space and her shop’s broad front window displays that draw customers in. 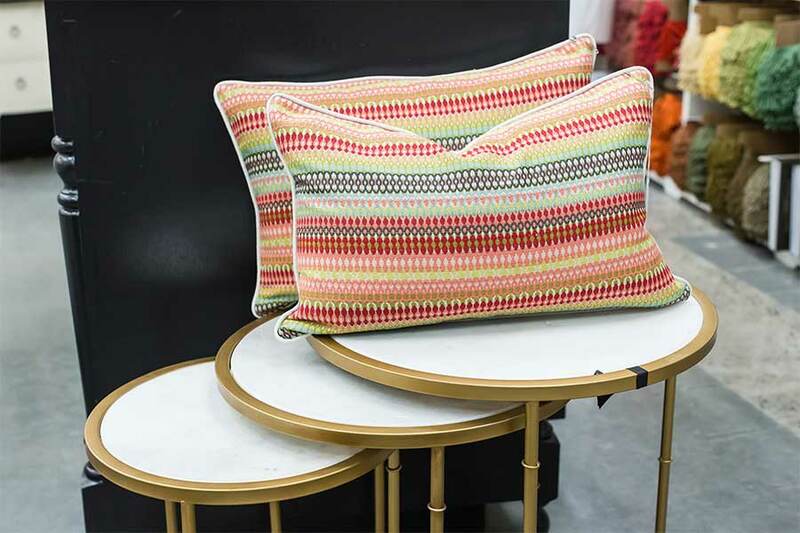 Dixon prides herself on her selection of fabrics and lamps, alongside her store’s ability to design custom furniture pieces. Her favorite part is building relationships with customers and climbing inside their imaginations to picture what they’ve visualized for their spaces and then making it come to life. Dixon is very proud of her staff of 12 who keep the business growing. Watching a former intern blossom into one of her best interior designers has been especially gratifying. Dixon is also a big supporter of local businesses and said she’s been greatly educated about their impact from The 3/50 Project. The organization states for every $100 spent in locally owned independent stores, $68 returns to the community compared to $43 at a national chain or $0 from an internet purchase. “I don’t want to see local stores used only as a showroom or library while people buy things on the internet,” she said. 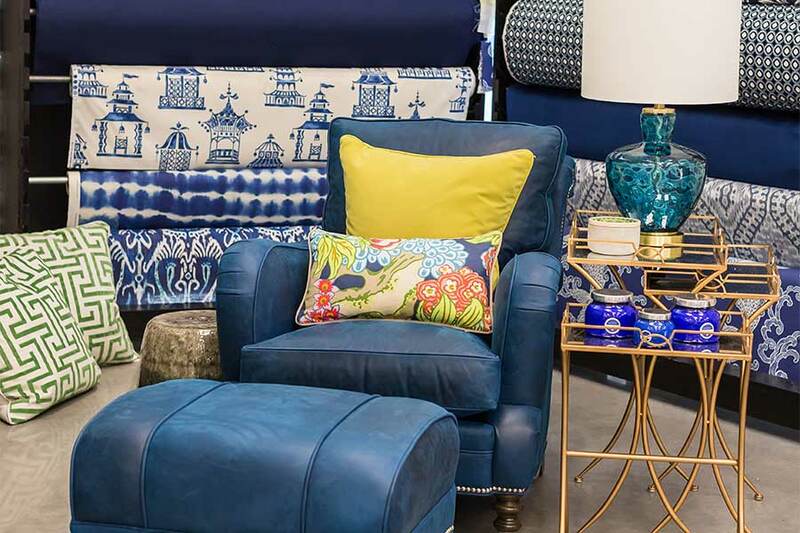 Front Door Fabrics + Interiors is located in Promenade at Providence at 5341 Ballantyne Commons Pkwy., Suite 350. Follow them on Facebook, Instagram and Twitter.